Skilled workers can immigrate to the Quebec province of Canada through the Quebec Skilled Worker Program (QSWP) / Quebec Immigration. The applicants are evaluated on the basis of a point system. This point system is based on a number of factors. Those applicants who get the required number of points are given the Quebec Selection Certificate (CSQ). This they can use to apply for a permanent residency visa. The eligibility depends on nine factors. The applicant needs to score minimum 50 points in order to migrate to Canada under the Quebec Skilled Worker Program (QSWP) / Quebec Immigration Process. Preference is given to those applicants who can help in the economic development of Quebec province. The applicant can score maximum of 26 points under this criteria. This category is further divided into education subcategory and areas of training category. The candidate can score up to 14 points under education and 12 points under training. Here the candidate can score up to 16 points. 18 to 35 years age group people can score maximum points. The candidate needs to appear and submit scores for English or French language proficiency. Better the test scores more will be the points. One can score a maximum of 22 points. 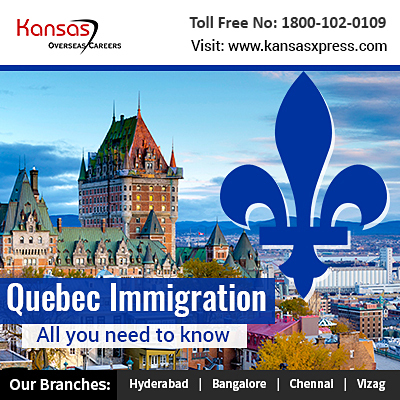 Spouse’s qualification and details, relatives in Quebec etc can also help the applicant score points. Validated job offer, financial self sufficiency, accompanying children etc can also help in scoring points. Certain factors like age the applicant has no control. But the applicant must try to score more points in other areas like skills, work experience, language proficiency etc.